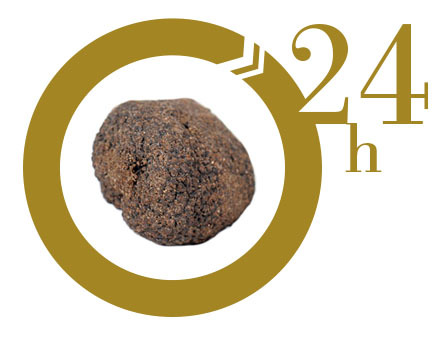 Our black truffle comes from plantations that naturally have the best conditions for them to grow. This allows us to offer an organic product at its best quality which also has its Phytosanitary Certificate. We will send your order in 24h. In special cases in which it’s difficult to reach the given address, this process could take 48h. We prepare our product in isothermal packaging, including freezer packs to guarantee its optimal freshness. You can send us an email with your order (contacto@trufgourmet.com), indicating your invoicing details: name, address, I.D. number, contact phone and delivery address. You will receive an order confirmation including all the details in your email address. You must send a copy of the bank transfer receipt of the payment. Once you have received your payment receipt, you will receive your order in 24 hours. Schedule: All the orders will be delivered from Monday to Wednesday.